• To prevent cavities and maintain good oral health, what you eat and how often you eat are important factors. The more often you eat and snack, the more frequently you are exposing your teeth to the cycle of decay. • The best food choices for the health of your mouth include cheese, chicken or other meats, nuts, and milk. 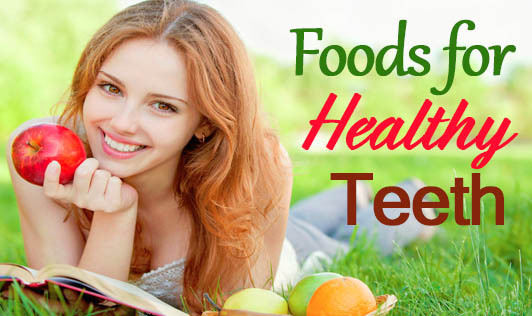 These foods are thought to protect tooth enamel by providing the calcium and phosphorus needed to remineralize teeth. Other food choices include firm/crunchy fruits and vegetables. Acidic foods, such as citrus fruits, tomatoes, and lemons, should be eaten as part of a larger meal to minimize the acid from them. • Poor food choices include candy -- such as lollipops, hard candies, and mints -- cookies, cakes, breads, potato chips, french fries. These foods contain large amounts of sugar and/or can stick to teeth, providing a fuel source for bacteria. • The best beverage choices include water, milk, and unsweetened tea. Limit your consumption of sugar-containing drinks, including soft drinks, lemonade, and coffee or tea with added sugar. Also, avoid day-long sipping of sugar-containing drinks as it exposes your teeth to constant sugar and, in turn, constant decay-causing acids.